2011 was a busy year at Nelson-Jameson with the launch of our web site, a new ERP system, and the opening of our new branch on the East Coast. Here’s a quick look back at some of the new products and happenings here at Nelson-Jameson. May – Our website, www.nelsonjameson.com was redesigned with easier navigation and an improved, user-friendly format. June – Nelson-Jameson’s M926 Chloride Analyzer, popular instrument for measuring salt content, was enhanced to ensure accuracy and have a streamlined appearance. August – The company’s newest location was opened in York, Pennsylvania with 9,000 square foot facility to better serve our customers on the East Coast. September – Our 2012-2013 Buyers Guide for the Food Industry was released with more than 30 additional pages of new products. 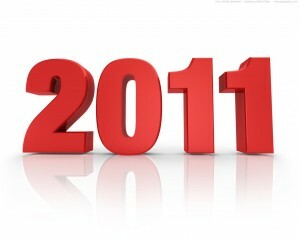 As we look forward to 2012, we prepare to supply our customers and represent our vendors even better this year. We thank our loyal customers for their business and look forward to offering you more products and locations to serve you in the future. Happy New Year! You hear the term family-owned company so often that it begins to sound a little hollow. But, when the holidays roll around here at Nelson-Jameson, I remember how important it is to work at a company where the owners and the employees care about each other and the community. This morning I took down a couple packages and added them to the stacks of beautifully wrapped gifts surrounding our Christmas tree. These carefully selected items aren’t for each other, but are going to a family in need in our area. I have to say, it personally felt nice to contribute to a good cause. But, more than that it feels great to work at a place where my coworkers take the time out of their work days and hectic personal lives to coordinate and contribute to the giving tree. 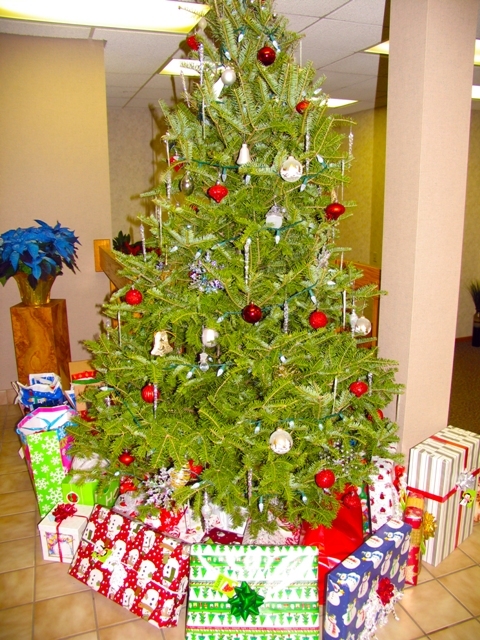 And none of it would be possible if the owners didn’t support and encourage activities like the giving tree. As you walk through halls this time of year at Nelson-Jameson, you see all the Christmas cards exchanged from other coworkers on our work stations and you realize we aren’t just family-owned but we are also a work family. And, I don’t know, but I have to think that helps us do a better job for our customers than if we were a “you are just a number” kind of company. In the food industry we know that foodborne illness is a serious issue. Understanding potential customer complaints and feeling secure in fulfilling your part of the food supply chain are good enough reasons to understand some facts and misconceptions about public health. Hence, the following is for informational purposes and should not be used to diagnose any medical issues. As we will see, the need to check in with a medical professional can help one get more quickly on the path to recovery when it comes to the flu. It is coming to that time of year… With winter approaching concerns can arise about the flu season. When an elevated number of individuals are struck with illness, including at times stomach and intestinal problems, questions can arise what microscopic entities are responsible for making you such a wreck. In terms of the food industry, it is a good idea to understand some basics when it comes to making sense of some often confused realities of the flu and stomach illnesses. To begin, stomach flu (viral gastroenteritis) is not the same thing as the “flu” (influenza). Influenza, according to the U.S. National Library of Medicine’s MedlinePlus website, “is a respiratory infection caused by a number of viruses.” Symptoms can include the following: “Body or muscle aches/Chills/Cough/Fever/Headache/Sore throat” and the flu “almost never causes an upset stomach.” Hence, the label of “stomach flu” can easily be confused with other “flus” making their way around the populace in these cold winter months. © 2019 Nelson-Jameson, Inc. All Rights Reserved.